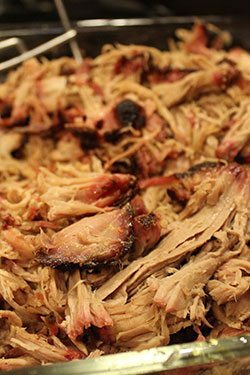 Turn your kettle into a power-house smoker. The Slow 'N Sear makes backyard barbecue simple and hassle-free. 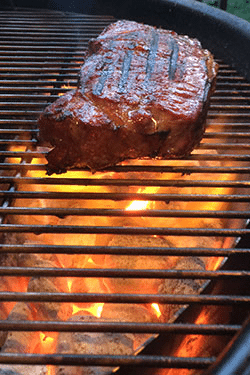 Super-charge your sear with heat topping 1000 F.
The ideal accessory for your charcoal grill. Add versatility to your cooking styles! 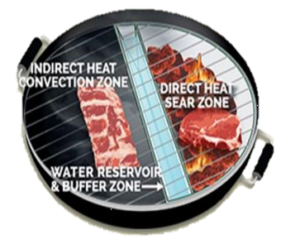 The Slow ‘N Sear turns your kettle grill into a powerhouse charcoal smoker and a much better grill by creating two distinct cooking zones on either side of a vertical wall of water. One zone is great for searing. One is great for smoking/roasting/baking. Cook anything, perfectly, with this one simple accessory. 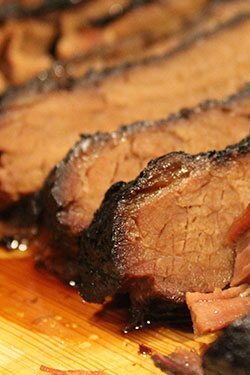 This product just turned out some of best ribs ever, and it was simple to do. My Weber kettle has new life! I’ve been grilling for over 30 years and this is a game changer. First thing I wanted to try was some beautiful 1 1/4″ rib eyes. This was a great test; wife’s comment, “This is the Best Steak I’ve ever eaten”! 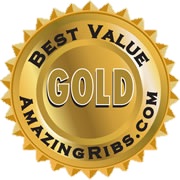 This product has the backing of an incredible company, never have I felt after buying something that I had the support to make it all happy as you get from the Adrenaline BBQ Company. Thank you, I sincerely mean that! Holds steady temps. You can cook longer with less charcoal. Sturdy construction. Fits my Weber 22 like a glove. A+ tool! 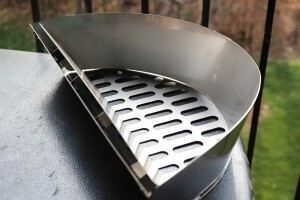 A must have item for any level of grilling expertise. 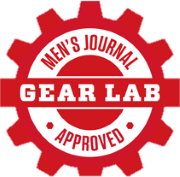 Sign up to receive the Adrenaline Rush newsletter! 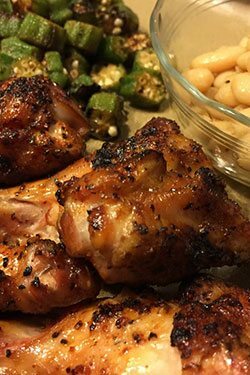 Sign up to receive all the latest news from Adrenaline Barbecue Company about your Slow ’N Sear® products.